….easily accessible by the Go Anywhere bus during Market, AND available ALL YEAR, by appointment, for To The Trade Customers! 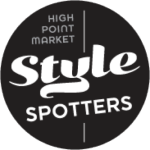 There’s alot of buzz going on about the revitalization of High Point and how it can, and should, be so much more than home to the twice annual Furniture Market. 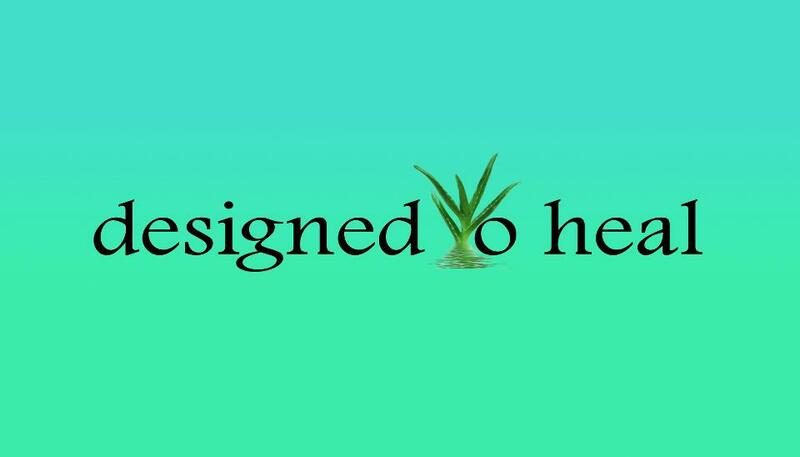 I have been a believer of this for years, in particular at the level of being a destination point for designers to shop between markets in addition to during markets. High Point Design Center, a group I joined in 2008, has this at the core of it’s mission, and I deeply respect all that they have done and continue to do to support this. Yes, it is by working together that we can make this a reality, and I love the collaborative Spirit amongst the showroom members that emulate this. However, there are many businesses in High Point, available to do business year round, that you might not know about. Some “secrets” in High Point that shouldn’t be a secret if you will. 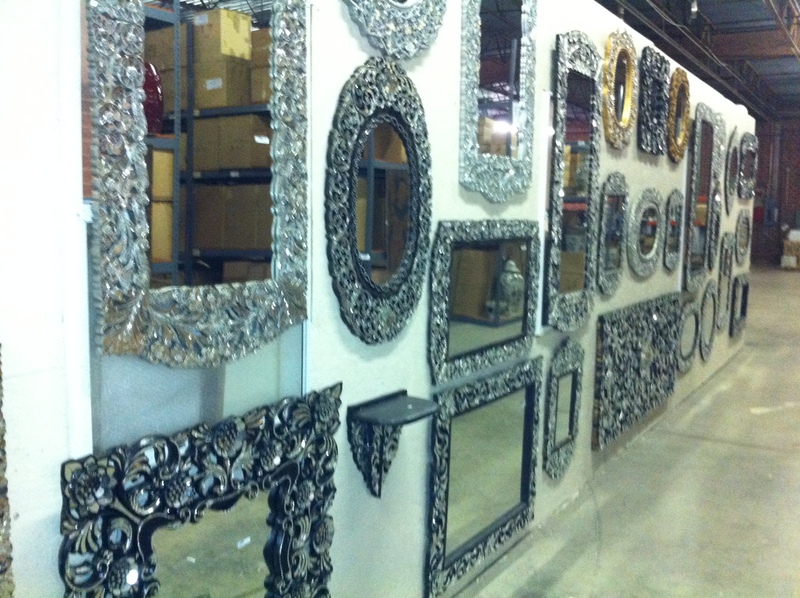 With this in mind I am excited to introduce to you, a neighbor of mine, that I have only recently been made of aware of, that , like me, has turned their warehouse into their showroom. If I didn’t know about them, and they are only 1 mile from me, I am guessing you don’t know about them either, and thus this introduction is my Gift to you, because you’re going to love what they have. 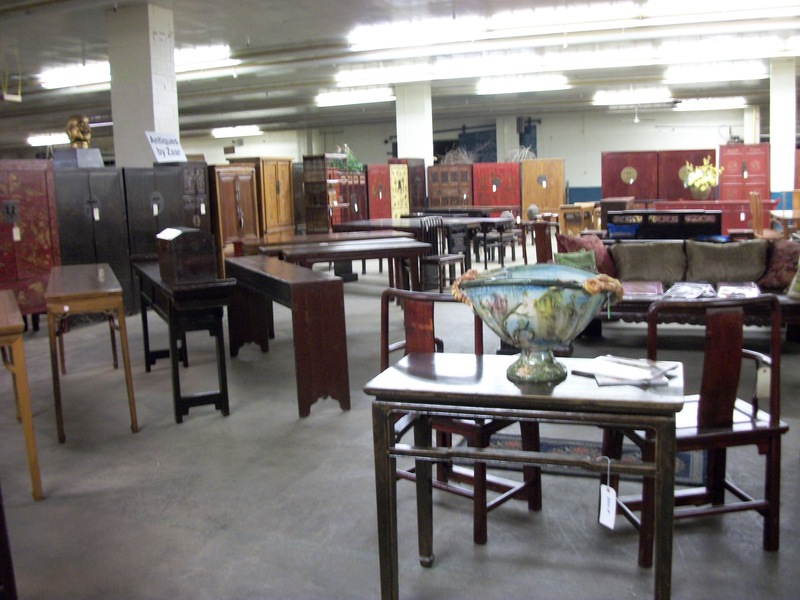 C & S Acosta, in business since 1985, like Antiques by Zaar, in business since 1999, is a family business, and have been showing in High Point for over a decade. 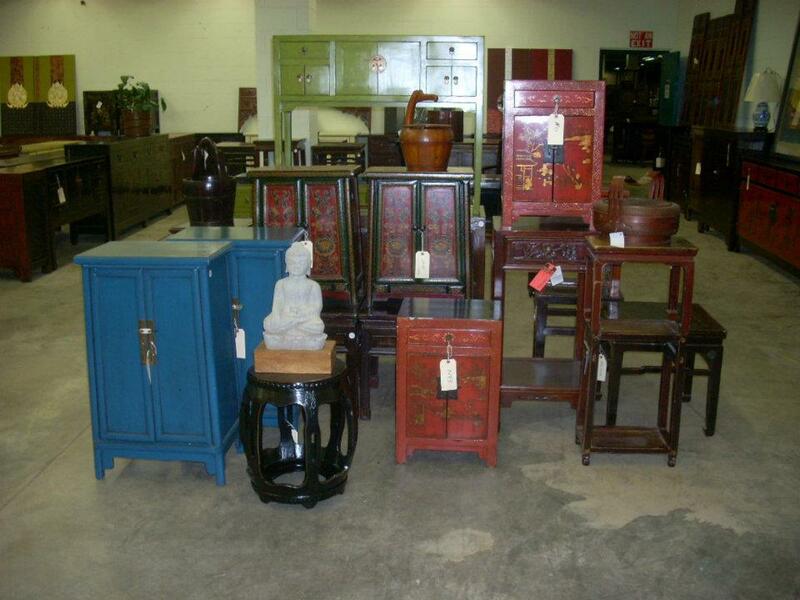 And like Antiques by Zaar, their focus is on Asian product. 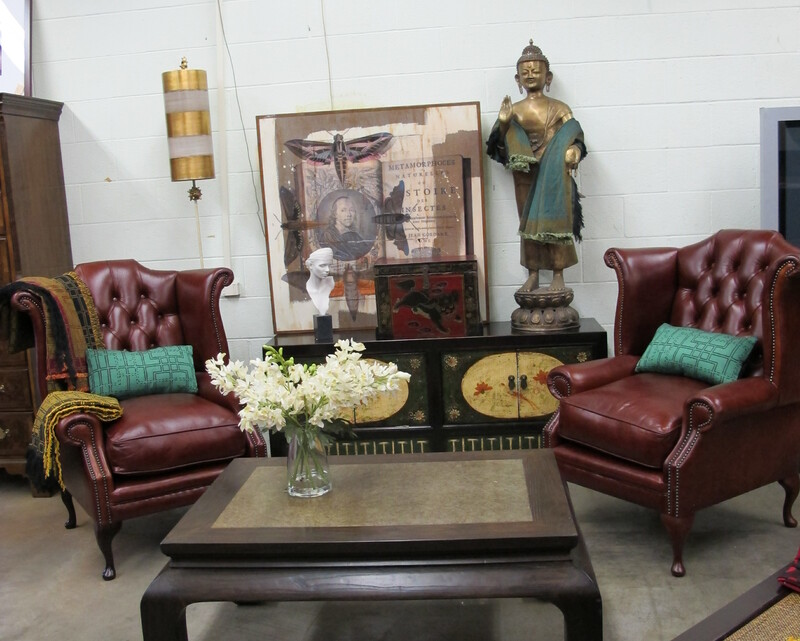 Get a sneak peak of their fabulous warehouse/showroom here. Product is not only exquisite but well priced. 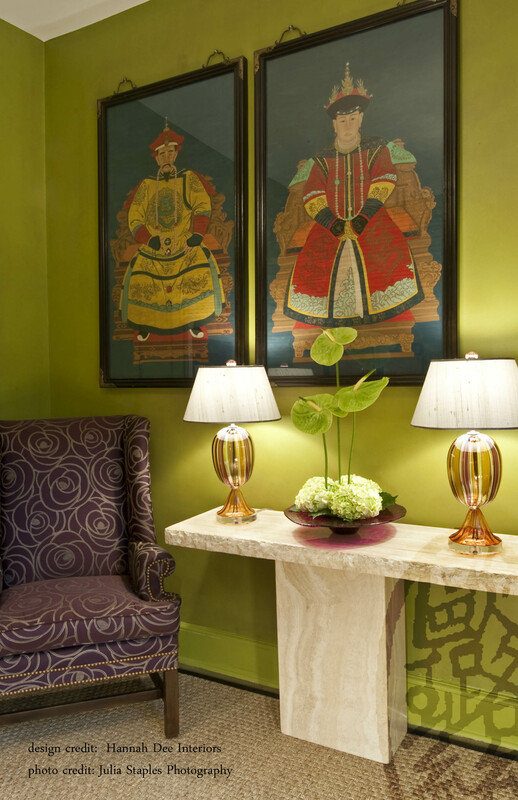 If you have a need for beautiful Asian furniture or porcelain, you do need to check out the both of us. 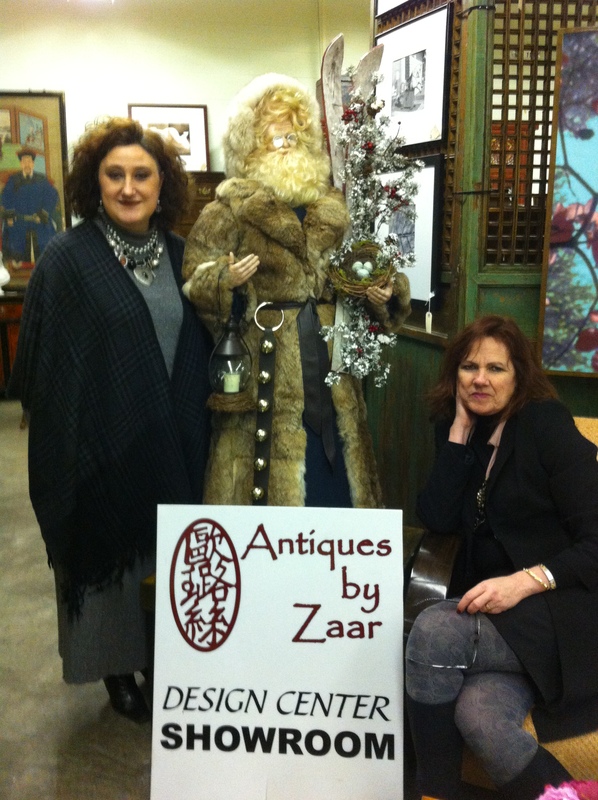 Antiques by Zaar, is at ZAAR Design Center, at 741 West Ward (A on map). 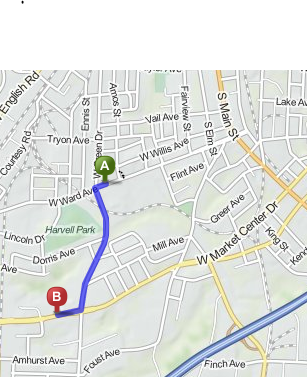 NOTE: Although address is West Ward, the entrance is on Green. Look for the bright yellow flags. C& S Acosta (B on map) is but a mile from us. Continue down West Green (left hand turn), turn right onto West Market Drive and turn right when you see Trucking company sign. They are located in building behind that business. Know that ZAAR will have a smattering of C & S Acosta’s merchandise displayed at ZAAR , just to give you a taste of the fine craftsmanship of their product. ZAAR is open 9;00- 5:00 from Saturday April 18th, through to Thursday April 23th, hosting a lunch n learn with Deb Barrett on Sunday April 19th, starting at 12:00 CEU Credit course….and although not required, RSVP appreciated. Dusting. Not a fan. And yesterday afternoon as I donned the duster and spray I moaned the fact that this had to simply be the epitome of working IN my business, not ON my business. What was up? Was I not making any kind of headway? Anyone can do this. How did I manage end up with duster in hand, doing THIS job? I was supposed to be concentrating on “big picture” stuff, not dusting! 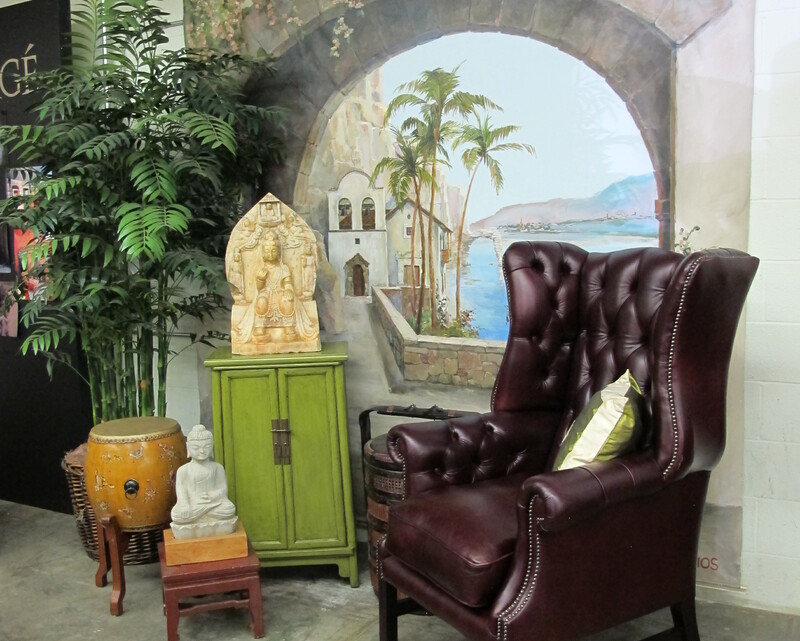 NOTE: with the help I did have yesterday we, together, did the “heavy” ,thoughtful and relevant work of setting up the showroom, placing the new load of chesterfields and chairs that greeted me on my loading dock yesterday. Yes, we were looking pretty, but, still, sadly, dusty . Was going to start in the back, as it seemed to be the dustiest, but then determined better to start at the front, for, IF I didn’t get the job done (which I pretty much did…yeah me!) then at least when people entered they would feel welcomed straight away, and that was the start of a change of attitude. What was I whining about? I expected people to come by and I wanted them to feel that we had prepared for their arrival, that they felt welcomed. I should be excited to dust, to anticipate, and yes, to welcome. And so, to the drone of the fluorescent lights I made my way through each of the 3 rooms of my 12,000 square foot showroom, putting out the welcome mat with each spray and swish….all the while in a rather communal state as I reconnected with my purpose. 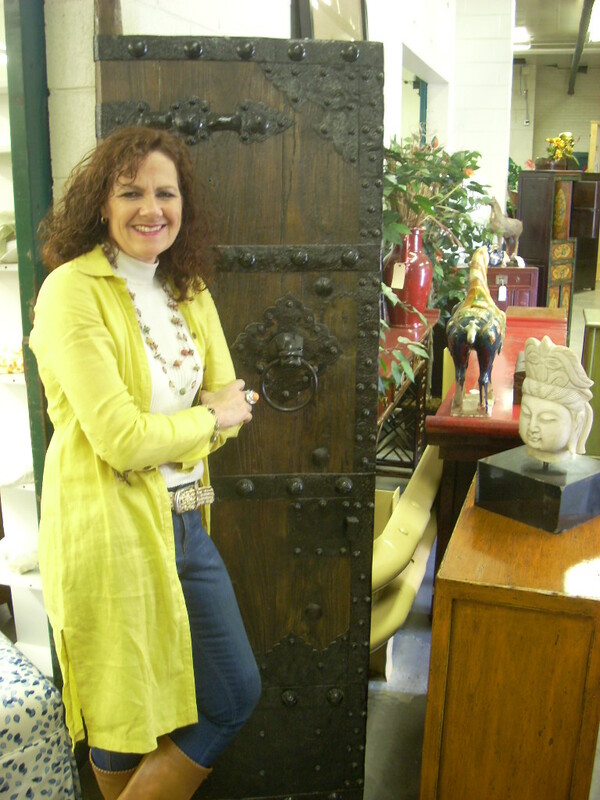 Antiques by Zaar, my now 13 year old business of providing customers with beautifully hand picked treasures from China. 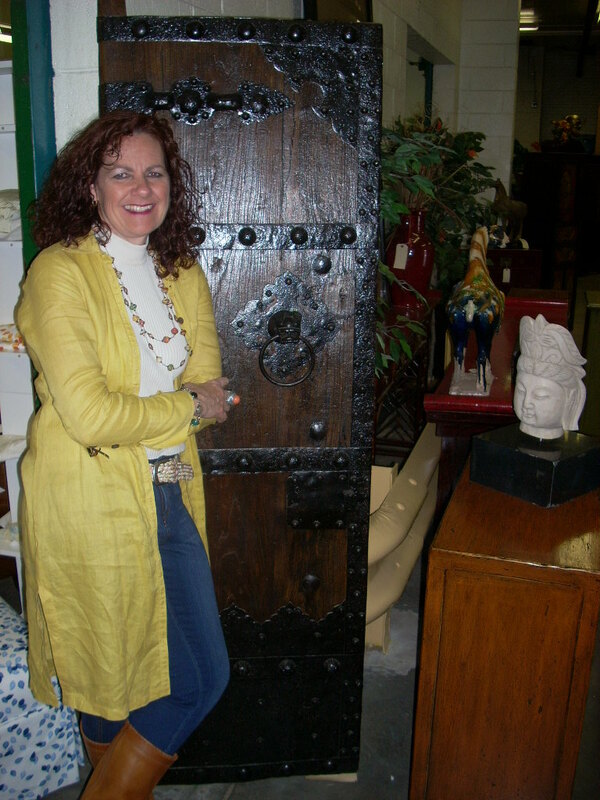 Antiques by Zaar, that business that has opened up my world to a bevy of people that I otherwise would never have met. Antiques by Zaar, that entity that I’ve chosen as the vehicle to give me voice. 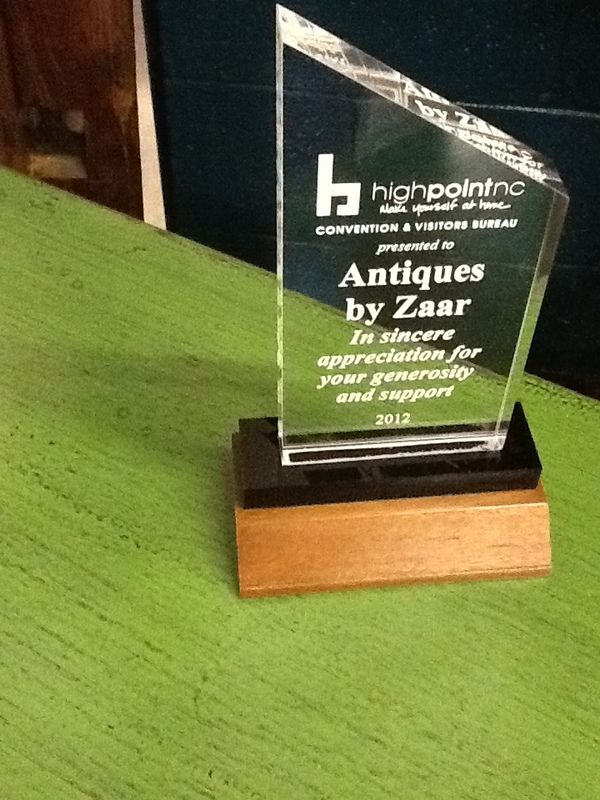 Antiques by Zaar, that anchor for the newer ZAAR Design Center. Ah, ZAAR Design Center. That vision of creating a collaborative showroom. 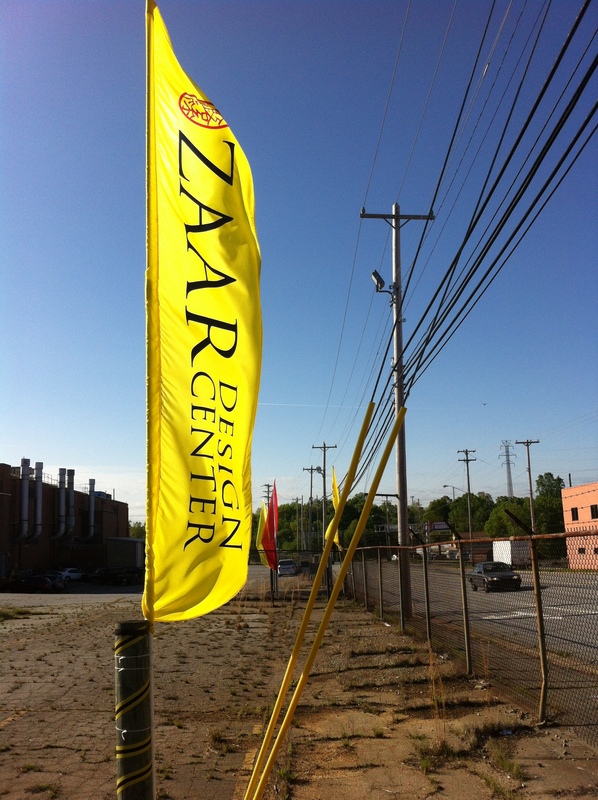 ZAAR Design Center, a venue for companies to showcase their product all year round in High Point, not only during Markets but also in between….supporting the mission of the High Point Design Center. ZAAR Design Center, that “address” for those that appreciate the value of a High Point address, with or without another showroom. ZAAR Design Center, a warm place to do business with more than a handful of companies that have great product, represented by people of great substance. 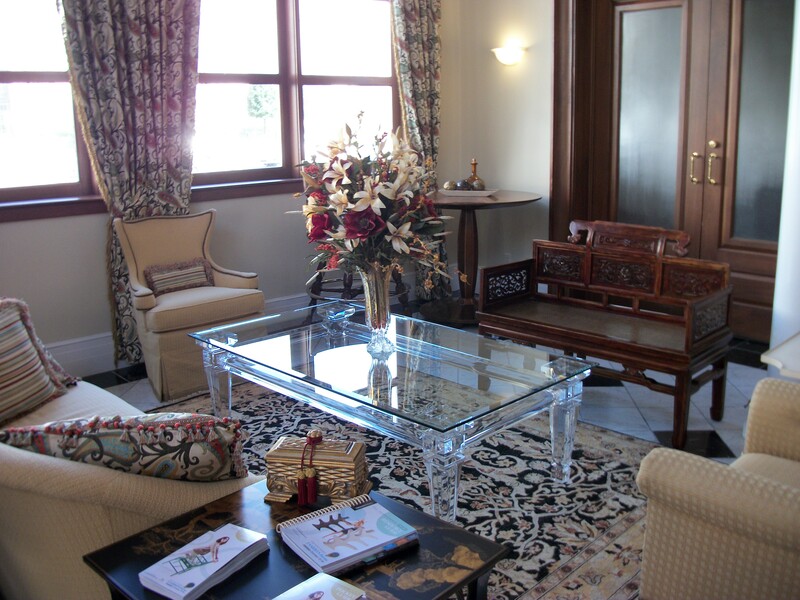 ZAAR Design Center, a good place to do business from and a good place to grow….together. You might question is this for real? She went down this road while dusting? I truly did and I felt so compelled to share this as it is simply yet another example of how an attitude change can altar your mindset for a job at hand. Frankly, I think it surprised me that I got so reflective and full of “warm fuzzies” while dusting. Yes, I hate dusting at the best of times (not quite as much as vacuuming and ironing though) and thus why I think it so relevant that I was able to Shift as I did. My mind was open to it and I allowed it, and it happened, and when I Ieft yesterday I did so with knowing that when I opened the doors today that I, AND my guests, would most definitely feel WELCOMED, as I had prepared…and yes, dusted. Powered Up/United: Theme of a “Marathon” of a Week. I have just returned home to Maryland for a few short days before hitting the road again next week. I would be remiss in not capsulizing what was an incredible trip that made most question my sanity when advised what my schedule was…. to be at Unity in NC and 2 days later in FL, prepping for my first 1/2 marathon. Frankly, it was empowering enough in and of itself…the fact that I actually made it work logistically. 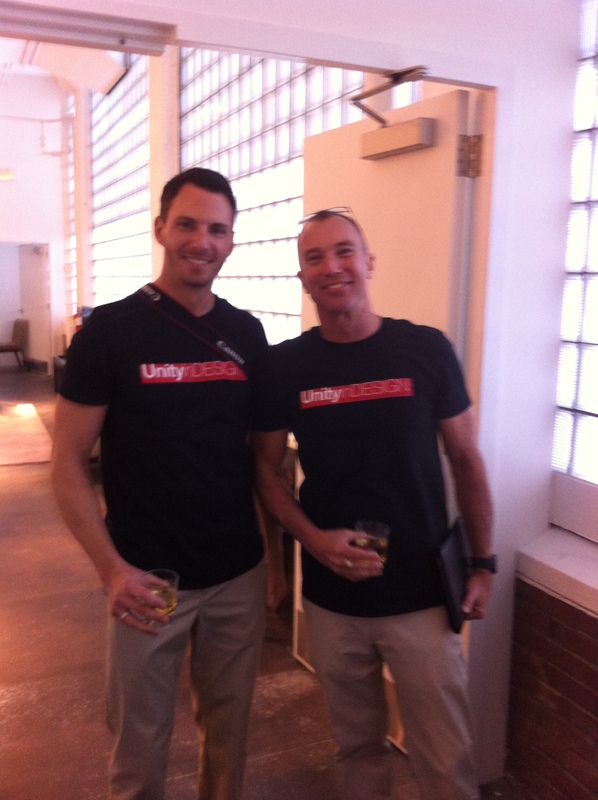 As a member of the High Point Design Center, since 2008, I have attended the February Unity in Design event each year. For a quick primer on what this event is all about, I akin it to a mini Market. Member showrooms are open for the 2 day event which is geared specifically to designers, who are also treated to breakfasts, lunches and networking cocktail parties, for the duration…not to mention a solid roster of educational events relevant to the industry. It is one of the 4 times/year that I KNOW I will be in High Point, the other 2 being the High Point Furniture Market and the 4th being the annual WITHIT Leadership Conference. 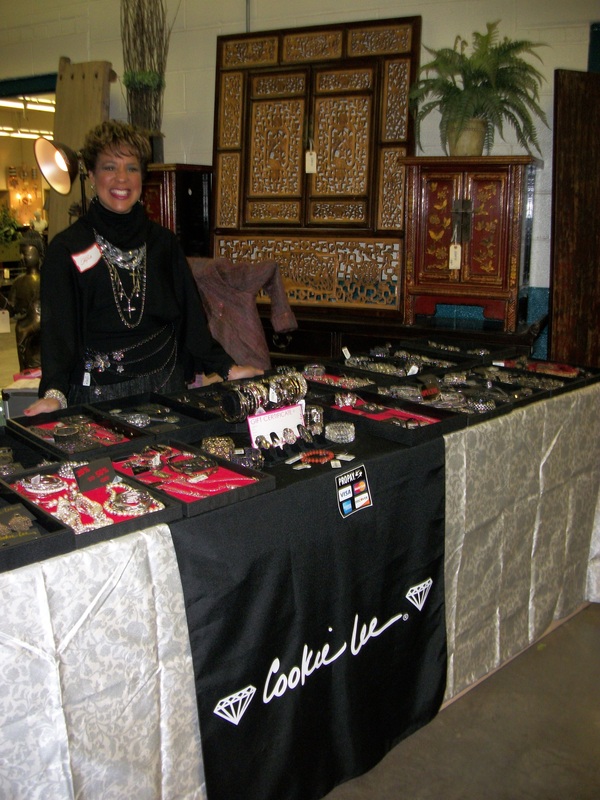 I attend to promote both of my businesses, Antiques by Zaar and ZAAR Design Center, the former which serves as anchor for the latter. 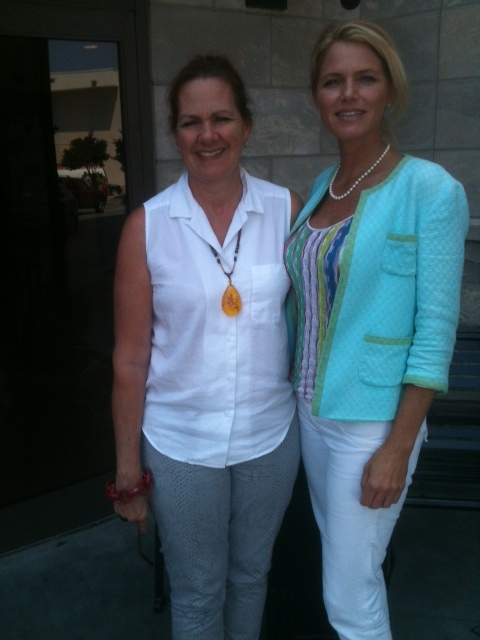 And each time I leave High Point after said event, I do so with a warm glow, knowing I did right by my biz to be there. For not only is it a good opportunity to draw in new customers, it is also a great opportunity for me to connect at a deeper level with those that are working, as am I, to foster a year round business to the trade, in High Point. I am energized by this commitment we share and the way in which we serve to support each other AND the needs of our customers….more on this on ZAAR Design Center blog that will roll out following this missive. UNITY 2013 was the perfect time for ZAAR to launch the introduction of our newest Trade Partner, Sans Souci Sisters. With all the warm fuzzies about it seemed the perfect opportunity to inaugurate the permanent presence of Christmas @ ZAAR. 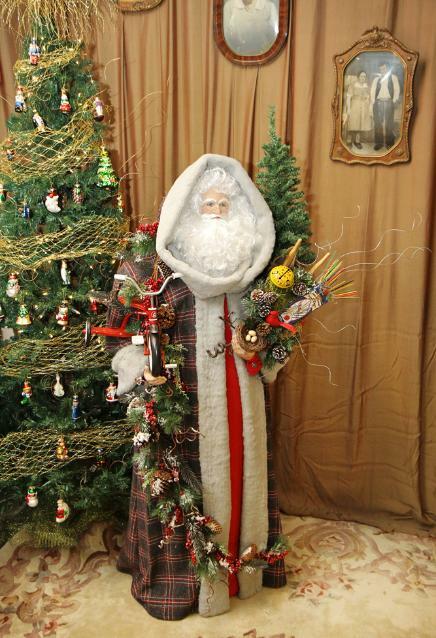 Yes, Sans Souci Sisters are your GO TO workshop to have one of a kind heritage and memory Santa Claus’s handcrafted to your specifications. Suffice it to say, we are ecstatic to have Kimberley and her heart warming Santa s as a permanent fixture at ZAAR. Thank you to all that put out so much effort to make this entire event what it was….those that organized it and also those that came to take benefit of what was organized just for them. I truly feel it to be a win win and why I tout it/support it/participate in it as I do. So, fueled by all these positive juices I scurried out after the cocktail party/silent auction, that was organized to benefit the Sandbox organization, which by all counts was a smashing success, to make the 6 hour drive back to my new home in MD, just long enough to change suitcases, and catch a bus to NYC, where I would be meeting my daughter for what would be a “power up” of a different nature, in Orlando FL. 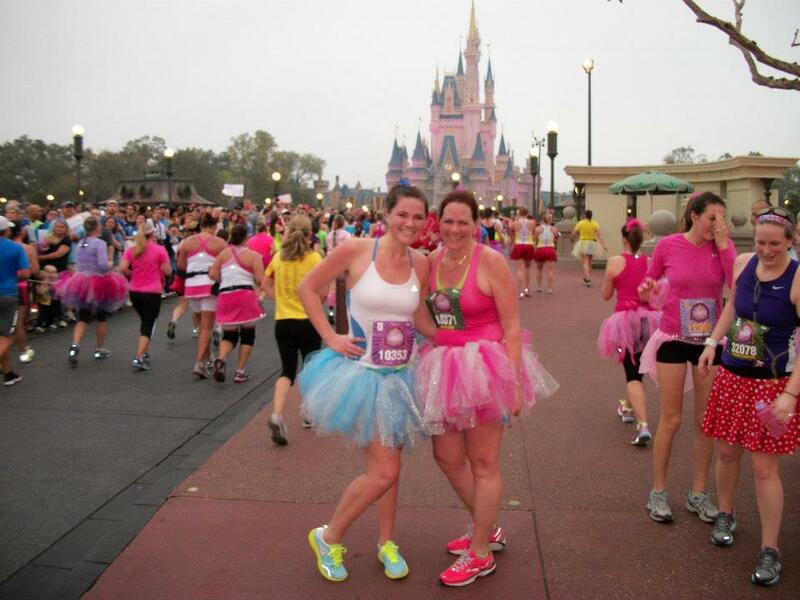 Yes, I would be changing up my business attire to a tutu, matching ones made by daughter Avery, and join over 25,000 others , over 22,000 of these being women, in the 5th annual Disney Princess 1/2 marathon, in support of the Leukemia/Lymphoma Foundation. Leave it up to my Disney Darling to add this to my bucket list… no, it wasn’t on it, but as a reasonably regular runner, not an unreasonable thing to ponder as something I would do….although the most I had ever done in the past was a 10 k. The prospect of doing it in a tu tu did take some of the seriousness out of the fact we were to complete 13.1 miles! The energy of literally thousands of people, at 4:00 am, in the Disney Park, decked out in assorted costumes, yes,with a high preponderance of tu tus….including on several men, was something in and of itself amazing to be part of. So many people, EACH with their own goals, to meet by completing 13.1 miles, one way or the other. I could only vouch for what my goals were for this. The obvious one was to simply complete it, and to that end I have been reminded that you really can do anything you set your mind to. Not going to lie, after doing a solid 8 miles without stopping, I did let my head start to get to me, and my attitude wasn’t the healthiest. Although I was determined NOT to walk over the finish line, my pace had pretty much deteriorated to what could be considered a fast shuffle. And this brings me to what was the greater goal of what participating in this meant to me, and that was to do something big with my daughter, to create a memory for us to share. As such what puts the biggest smile on my face/warms my heart the most, as I recall this, is how my 22 year old, who was able to keep a clip faster than her old mother , remember, I had regressed to a fast shuffle. To her credit, for the best part of the run we were side by side,… during the last 1/4 mile, came back, urged me on, and as we crossed the finish line, reached over to grab my hand and raised our hands in united victory. THAT was the bomb! On all counts it was crazy to attempt to make it work logistically to be in NC Tues-Thurs, to meet in NYC to get to FL Sat for a Sunday event. But, each event was of import to me, and I felt merited the effort it would take to participate in both….and, at the other side of all of it, including the 3 hours it took to do 13.1 miles, I couldn’t be happier that I can say I DID IT! 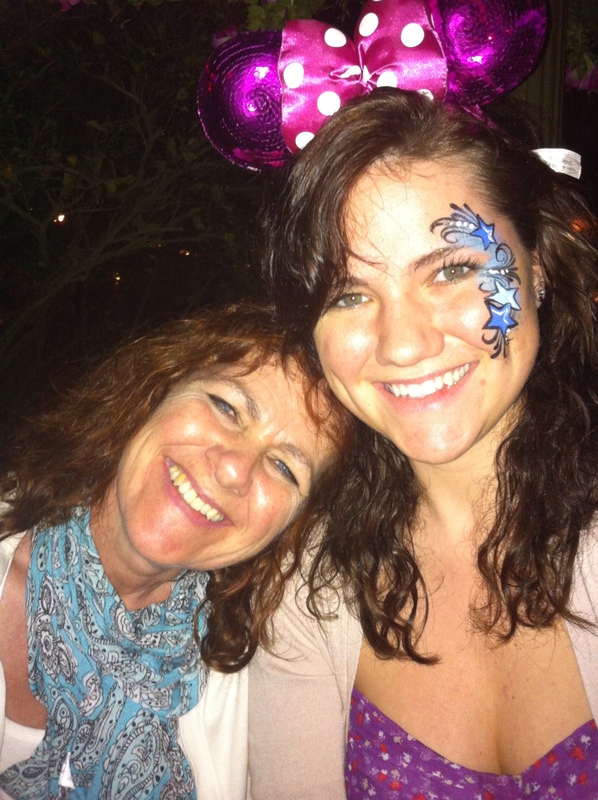 I did what was right for me as a business owner, and then I did what was right for me as a mom. So, yes, POWERED UP I am, and in the context of a UNITED Spirit…from my HPDC colleagues, trade partners and customers in High Point, and by all those that determined to complete 13.1, but especially by my very own Disney Princess Avery. Anybody that knows me knows that I LOVE opening my home for a party. Well, as the heart and soul behind Antiques by Zaar and ZAAR Design Center, I am beyond thrilled to be opening my “business home” for it’s first annual Christmas party. Yes, it is a bazaar, but it really is a party…a place for you to warmly invite in the Holiday Spirit, to be infused by the creativity of others, to be welcomed into a showroom that exudes excitement, as the collaborative Spirit of the 15 companies that show/sell product there, all culminate in a beautifully staged setting…of course, decorated for the Holiday Season. I am so excited to welcome you in, and know that if you can’t make it in person that we shall know you are with us in Spirit, and perhaps will join us at another time. Whether you are able to join us or not, please Do read below for details of what is planned…. WHEN? Oh my, it’s this Wednesday, November 14th…which not so coincidentally is also Designer Wed, starting at 9:00 and going through to 5:00 pm. WHERE? 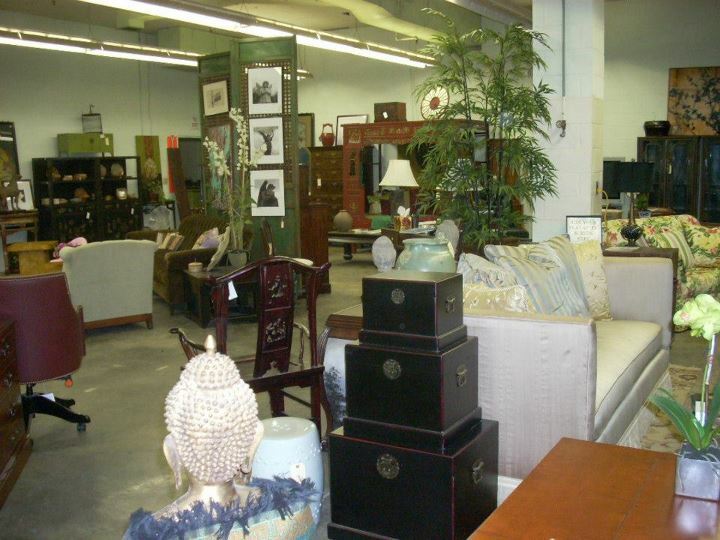 In the former Drexel Heritage Factory @ 741 West Ward Ave, High Point, NC. Right on the corner of Ward and Green. WHO’S INVITED? Anyone that wants to be infused with the Christmas Spirit, and while you’re at it get a jump start on Holiday Shopping…or just come along and join us for Hot Cider and Ginger Snaps, a visit and a good look around. Kimberly Stone of Sans Souci Sisters…. appropriately being introduced @ ZAAR for the first time. Specializing in custom heirloom Santa Claus. Kathleen Holterman of Holterman and Company…with her vibrant collection of oil paintings. Dave and Barbara McGinnis of Wood n’ Clay Studio, a husband and wife team with talent to burn…or should I say turn wood and throw pottery. …and of course all of above will have handiwork to sell, or you can special order. Jeff, Sherry, Julia, Alice and yours truly. …and lastly what is a Bazaar without asking, WHAT IS THERE TO BUY…in addition to above noted? Yes, there is So Much MORE! Designed to Heal: Monica Hodges with her new line of home made soaps! AND THEN THERE IS WHAT IS THE HEART OF ZAAR…. Product from People that are Passionate about their businesses and are gathered together @ ZAAR to give YOU a Special Shopping Experience. Flambeau moved their entire Suites showroom into ZAAR and are JUST newly installed, chandeliers and all! 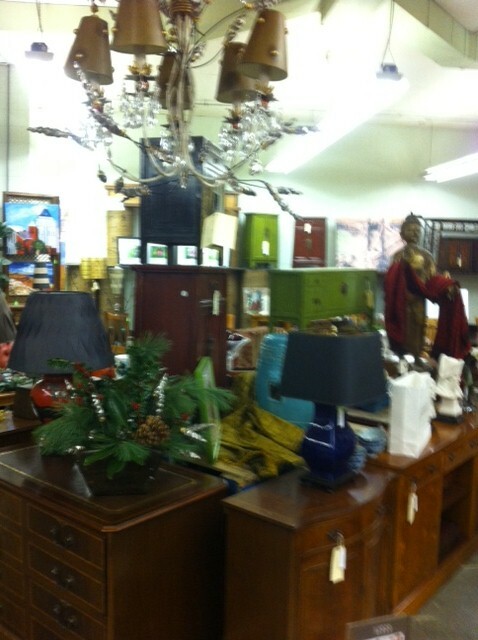 But we also have lamps from Lorna Dewey and Antiques by Zaar. Fortunata has the corner on that one. 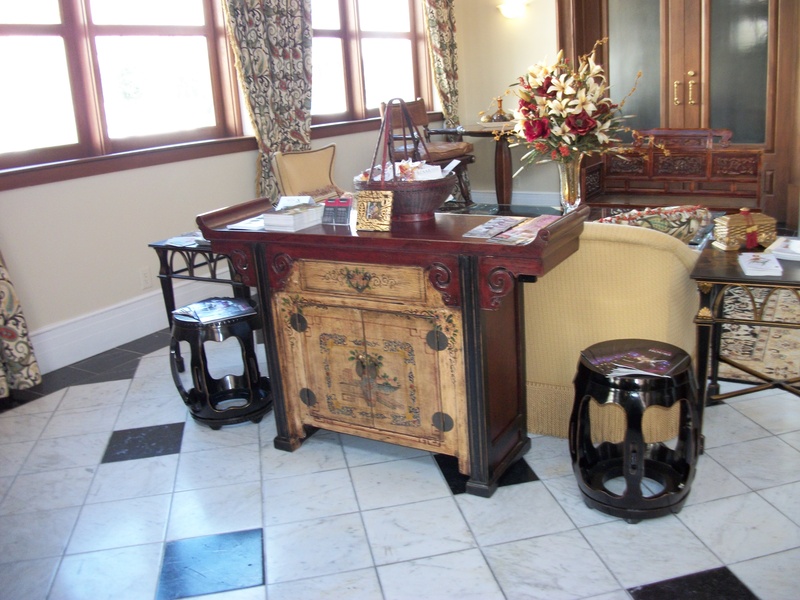 pottery and wood pieces from Wood n Clay, iron work wall art and nick knacks from Haiti and porcelain and wood stools from Antiques by Zaar. Kathleen Holterman is joined by another local artist Katy Allgeyer, who is now on an amazing trip of a lifetime with her boyfriend Scott Morgan. She blogs about it regularly here…is worthy to follow this journey. yet more distinctive art by the Elizabeth Lucas Company. ….and gripping photography by Bruce Barone of Massachusetts and Sylvia Muller of East Hampton NY. 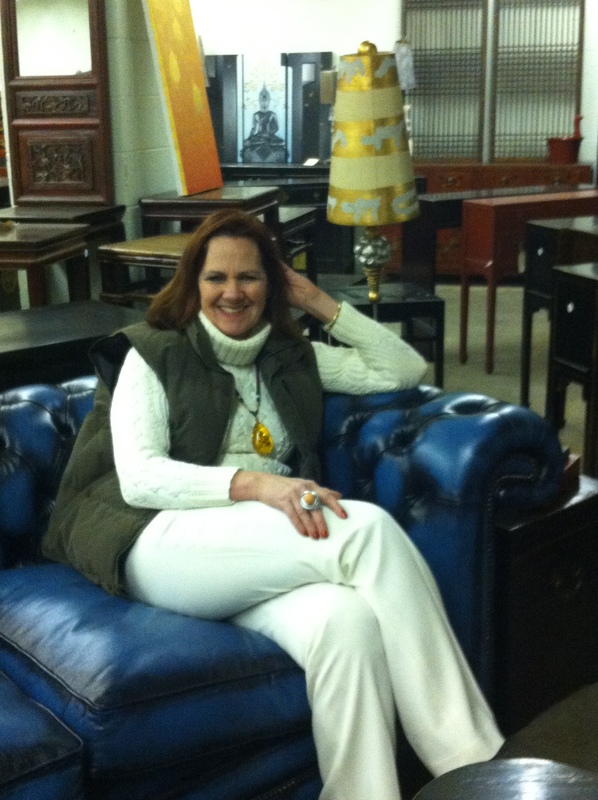 Lorna Dewey and Antiques by Zaar present very different but equally appealing product. 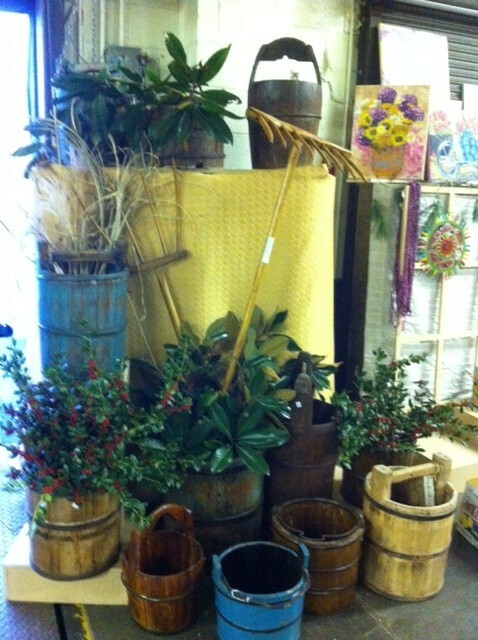 The Oriole Mill, yes another made in North Carolina product, has a line exclusive to ZAAR available to purchase. Touchwood, Lorna Dewey and Distinctive Chesterfields. 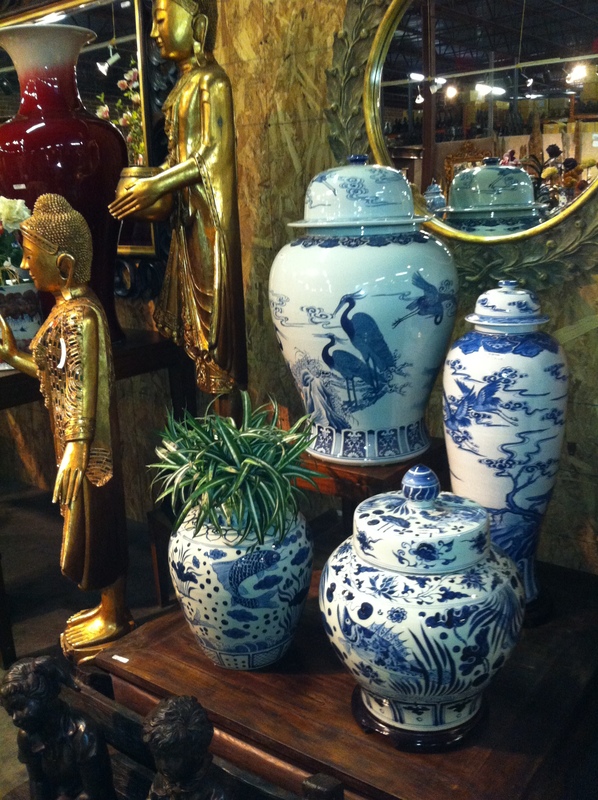 …and from China, Antiques by Zaar. And ALL of this is so beautifully positioned that each persons product accents the other. 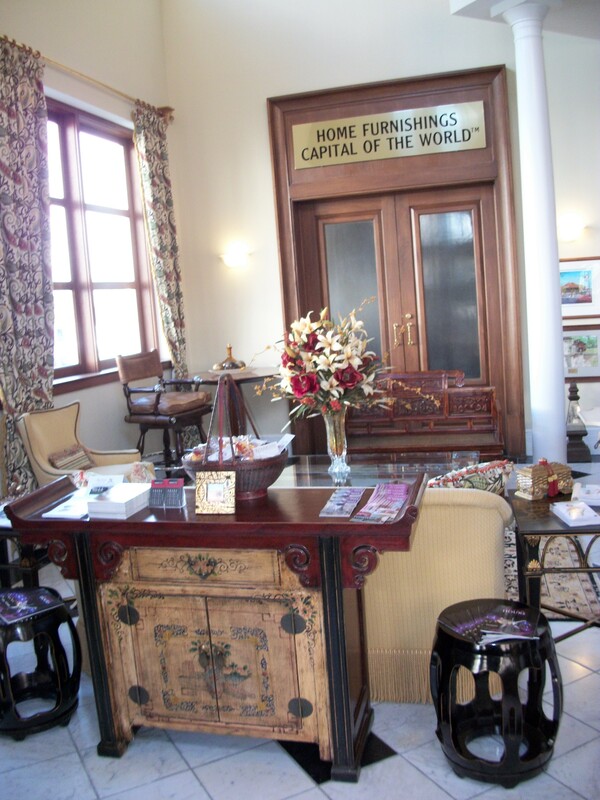 Do come and enjoy what we have prepared for you to experience, and no better time than to do so then now. So very much look forward to welcoming you! 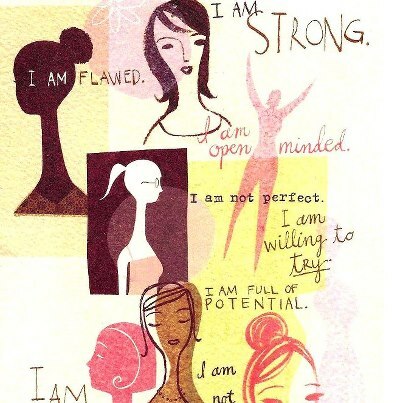 …OR Change, Change, Change, OR Ending a Chapter/Starting a Chapter, OR to Uplifting and Being Uplifted, OR We Women Rock….or simply Thank YOU! 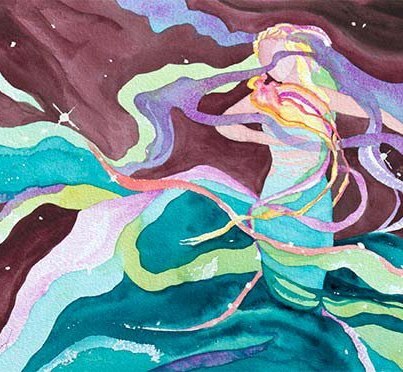 Yes, I am very well aware that it is all “up to me” but I cannot deny the “forces’ of which I speak of, which come in the form of that growing bevy of womankind which have come into my Life, and which I can call my friends. To my Maine based gals…. I thank you for sending me off so well. 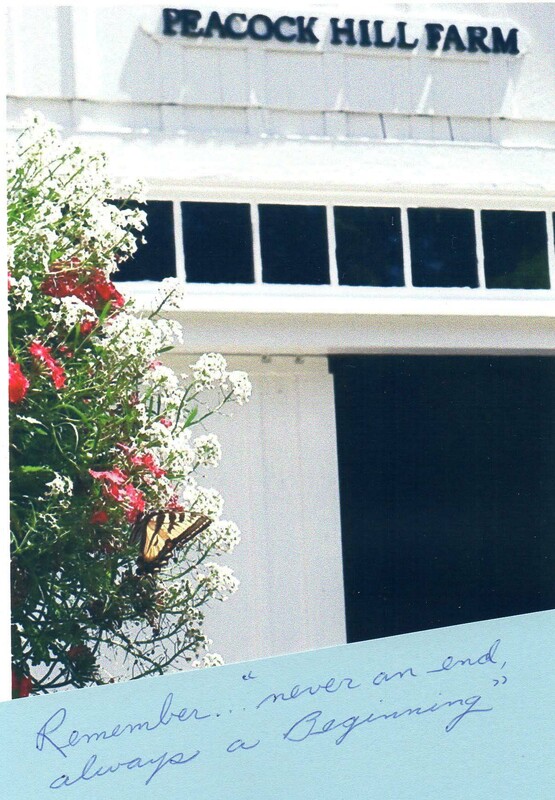 For those that attended my pre launch of yard sale party, to those that similarly attended the lovely soiree at Connemara Farm, by Anne, my neighbor and friend… to the many that I was able to connect with for a farewell lunch or dinner. I felt so incredibly embraced and loved. For you, Nancy Morin, YOU were by my side for almost an entire year as we moved from one stage to another in making the move happen….moving forward when I felt stalled, assuring me of your calm presence and assistance right to the day the movers showed up. You kept me from going over the edge, and I felt there often, and quite simply pressed on. I purged and you packed. 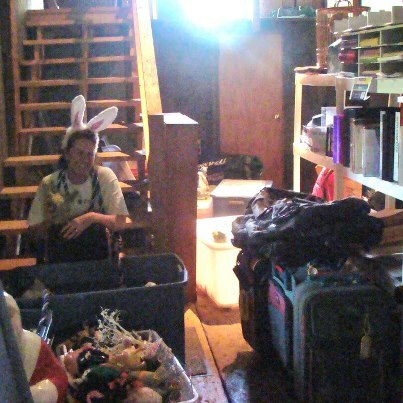 You organized my barn into a full fledged Good Will Store for 2 two day yard sales and posted items on Craig’s List so I could do my part and sell sell sell. To Nancy Strojny, my SCORE mentor and Carol Emerson of Custom House Business Services, I thank you for giving me latitude as I allowed this move to consume me emotionally, BUT did your jobs and brought me back, reminding me of the business that is mine/dependent on me to breathe life into it and spurring me to the next step knowing when this move was behind me that I would return to nurture and grow this Gift I have in my business. 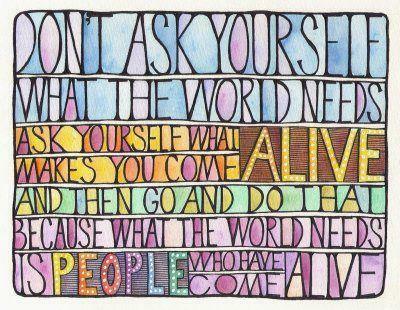 To my daughter Avery, who upon graduation from college, yup, last one! and after being away at school for the last 4 years… spent a full 3 months with me. What a delight! To my team in North Carolina, Jeff Moore and Sherry Mitchell, who, over the summer did a phenomenal job keeping all in a forward moving motion, initiating a complete revamp of the ZAAR Design Center, managing Designer Wednesdays and more. Thank You, Thank You, Thank You. 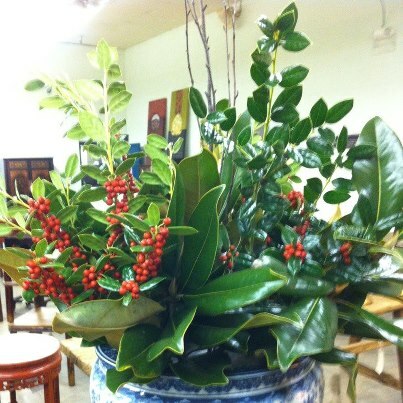 check out pix of the fine work here…and plan to come have dessert with us 9/12/12 and see for yourself! I’ll be there. These forces, these women, all helped get me from There to Here, and I know that they remain with me as I continue to move on. Further to this I add as a collective, the fine Women I find myself connected to through my membership in Withit. 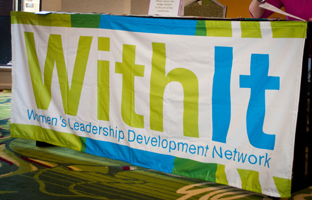 How great it was to attend the recent WITHIT conference which was themed Pathways to Success: Strategies, Connections & Meaning. A conference I touted I knew I couldn’t afford to miss, and as I shared on Leslie Carouther’s facebook…. I went to the conference this year, as I have past 2 years, KNOWING what I was needing/expecting…not only from the exceptional speakers I knew would be lined up, but also from the opportunity to meet/get to know better, the wonderful array of professional women that run and attend this conference. I was not to be disappointed in the least. If there was to be a big takeaway it is that simple reminder that it is indeed all up to me and it is indeed possible…to do/be all that I vision for myself. The conference itself is such a great venue for exceptional giving and getting. Nuts and bolts is that were it not for the exceptional women that I’ve allowed into my life, and I’ve just scratched the surface here, my life would be so “without”. 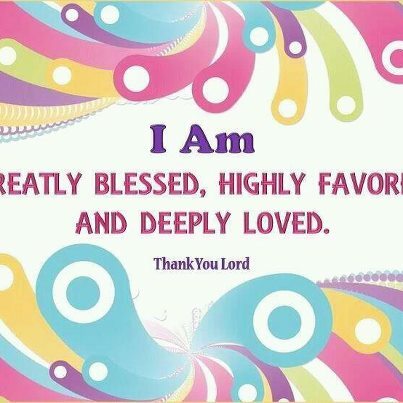 What I love is that there is as much giving as getting that goes on….that as I have been uplifted I know I have uplifted others, that as I have been mentored, that I can also offer mentoring. There is no base line here. It is a kinship of Kindred Souls….each of us reaching, each of us relating, each of us caring and each of sharing. It is by doing all of this that we can indeed get from there to here, and move from here to there…each finding our way to do what we can to Elevate ourselves, Be our Best Selves, and Shine Shine Shine. ….and so onward we go, individually, yet collectively, to make a difference for ourselves and to those whose lives we touch and whose lives subsequently touch us. Yes, thank you for Being a Friend.